The sounds heard outside the Rustin High School student weight room, training room, and auxiliary gym are usually those of rubber soled sneakers and bouncing balls. Instead, clicking heels and gleeful chatter echoed through those halls last Tuesday night. 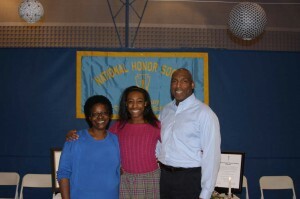 This is because 21CCCS hosted its National Honor Society and National Junior Honor Society inductions in a room of blue and silver. 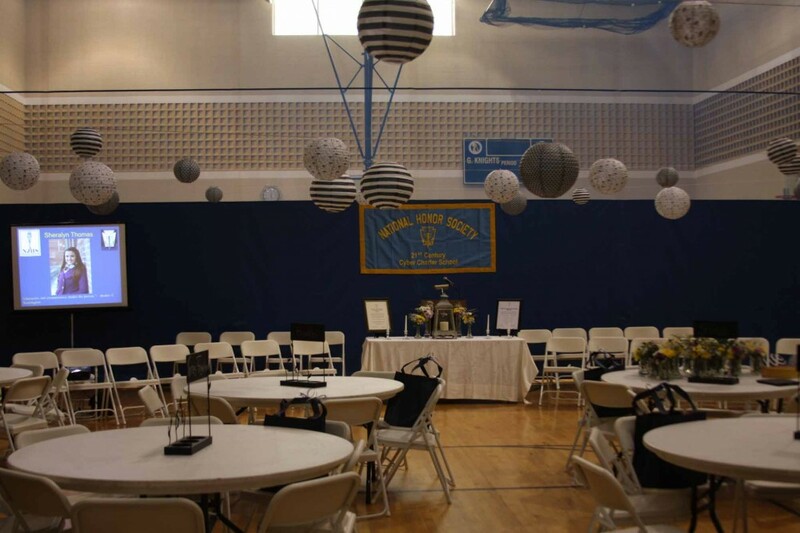 21CCCS teachers and staff arrived at Rustin’s gymnasium in West Chester, PA at 2:45 p.m. and set to transform the room into a space fit for elegant dining, proud parents, and teary students. Japanese paper lanterns hung from the ceiling, white tablecloths adorned each table, and chalkboard center pieces labeled with family names welcomed spectators to their designated seats. The final flourish included tiny white lights, which hung from the walls, and gave an extra special glow to the space. By 6 p.m., the room was full and dinner was served to nearly 140 people. Everyone was ready to celebrate. Parents, family members, friends, and administrators each took seats together, allowing for great conversation. 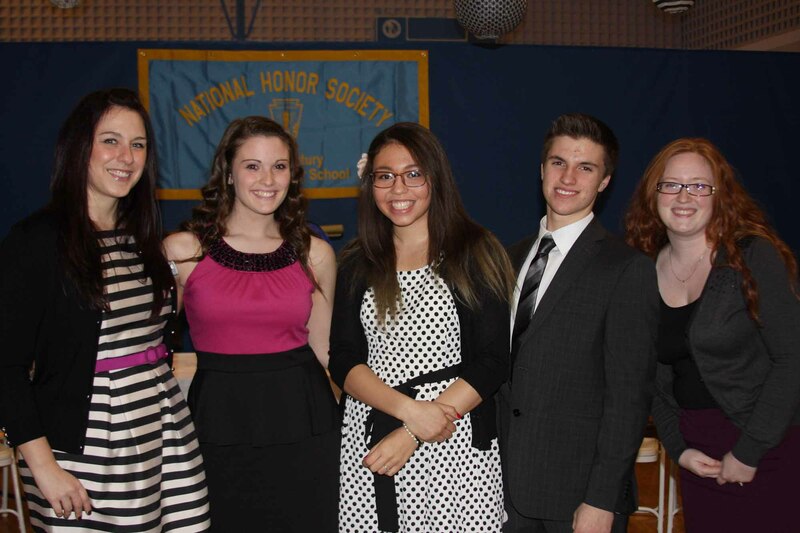 Current NHS and NJHS members were also in attendance to welcome inductees into this prestigious organization. A party can’t go wrong when the food is fabulous. Pasta, chicken, eggplant, and sweets filled bellies and broadened smiles just as we were ready to begin the ceremony. By 7:15 p.m. Principal, Kylene Ball, introduced everyone and shared inspirational words. She spoke of how the inductees were excellent contributors to communities, and ultimately, the world. She recognized that the passion and dedication of our students encourage others. These students show each of us how the world can be a better place. Her words rang so true. Becoming a member of NHS and NJHS does not only grant students the ability to build character through the activities in which they will soon participate. It recognizes the existing makeup of our student body, acknowledging the incredible character that already lives within each member. Being inducted into NHS and NJHS ultimately allows students to join their efforts. These students come together to instill values of “academic scholarship,” “leadership,” “community service,” and “character,” in other others, by setting a tremendous example. Keynote speaker, Dr. Teresa Powell, spoke of her immense sense of pride in the success stories of our students. She was so thrilled to speak at an event where excelling students have embraced opportunities, challenged themselves, and served their communities. They are playing instruments, dancing, participating in athletics, serving their communities, and building dreams. A real highlight of the evening was truly the letter reading portion, at which point teachers Drew Benson and Kathleen Groff read through encouraging letters from parents to the inductees. Their words touted the successes of their children in a meaningful way that helped each of us to see the individual life experiences that make each student so special. Many contributed to make the evening special. Advisers Brian Petters and Mark Miller did an exceptional job organizing the event, and we owe a special thanks to them. But, most importantly, thanks are owed to the students who strive to achieve their very best, time and time again. Your hard work and dedication make our school a very special place to work, learn, and teach. And ultimately, it is your hard work and dedication that will make our world a better place.